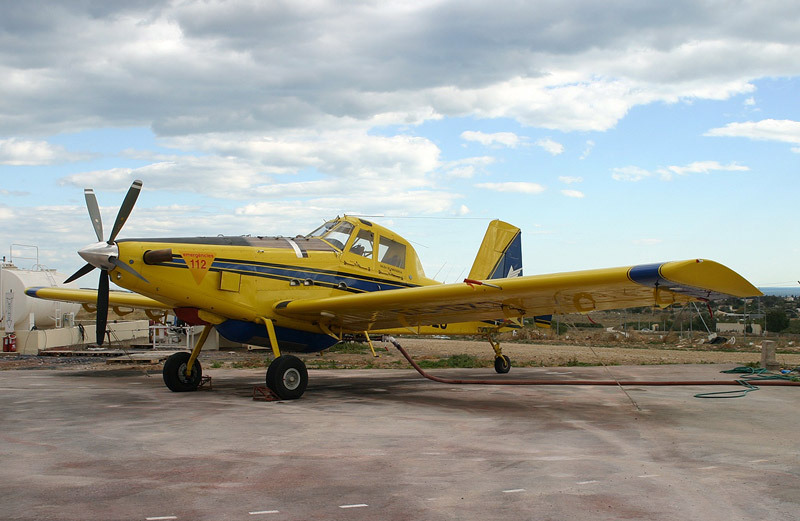 The AT-802 is an aircraft pilot and copilot / instructor bicabina used primarily in patrol operations, fire fighting, training, oil dispersants and fumigation. The AT-802F is a cantilever low-wing aircraft, all-metal construction monoplane. It is specifically designed to extinguish fires. 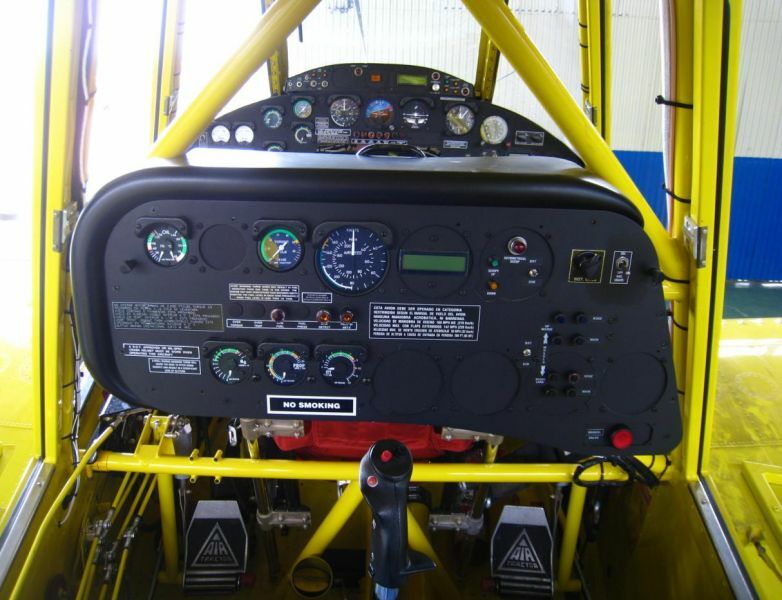 Avionics equipment meet the standards for visual flight VFR and air conditioning / heating electronics and autopilot. Can be equipped with one or two cabins and a control panel in the coopitolo in order to train future pilots. 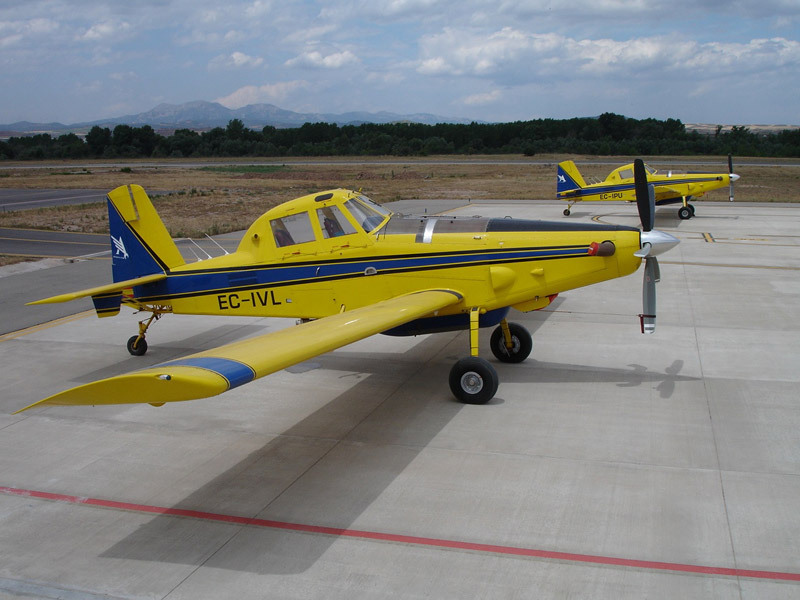 – PT6A-67AG of 1,350 SHP. 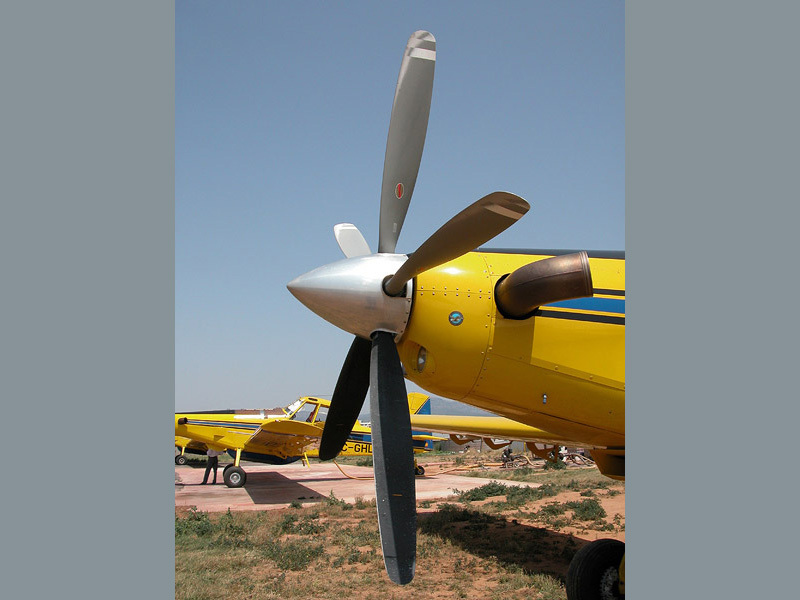 These engines are highly reliable and tailored to the type of requirements that firefighting flights for power demand with high ambient temperatures, ease of maintenance, low noise emission, etc … The propeller used is a 5-blade Hartzell high performance and constant speed reversible step. 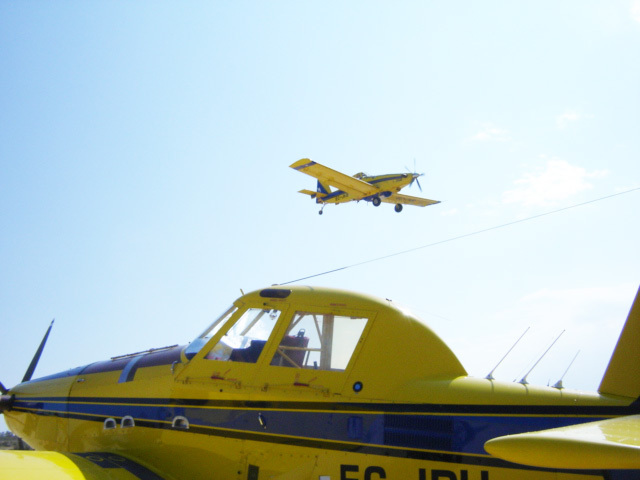 The high maneuverability of the AT-802, combined with the versatility of the discharge that the discharge system provides computerized and programmable in terms of needs, make this plane get over the performance of many aircraft load capacity. Moreover, the ability to operate from unprepared runways possible, close to the fire, help greatly to reduce the time of discharge cycles. Another possibility for the AT-802 is to carry a separate tank for foam concentrate by means of a computer-controlled injector system, added to the water tank foam optimal proportion to the type of fire involved. This system is particularly suitable for forest patrol flights as if they do not detect any fire, the sparkling wine is returned to the base to be used on another occasion. The AT-802 has a feature that sets it apart from any other firefighting aircraft and is that you can land with maximum takeoff load (7257 kg), ie that can land with a load in the hopper 3987 kg thanks to its extremely rugged landing gear and braking system, sized for this purpose. This ability is recognized by the aeronautical authorities and included in the Type Certificate.